Lovely lettering is fluid throughout the suite. 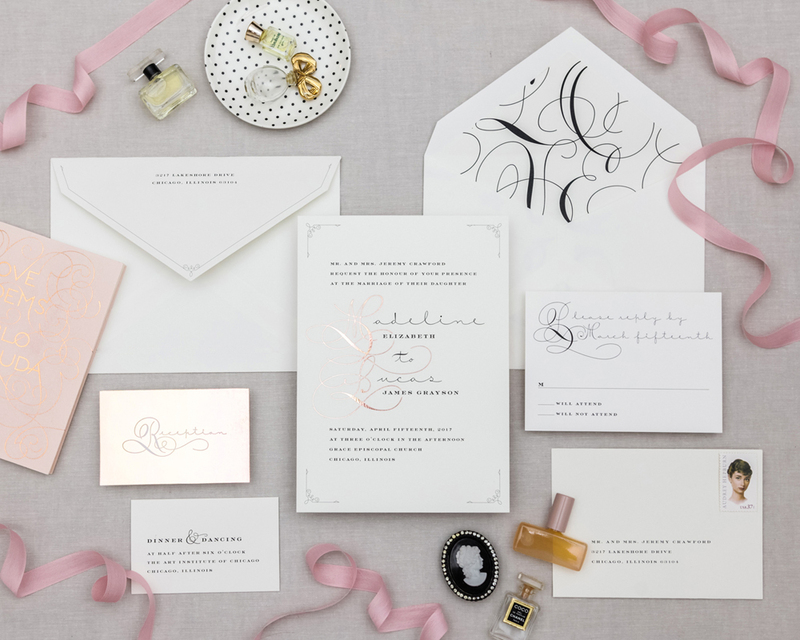 The couple’s names are accentuated by a metallic foil drop cap that becomes a monogram. The L-O-V-E envelope liner is an unexpected detail. For 100 sets, pricing starts at $16.50 per set for Flat Printing, $19 per set for Flat Premium and $22 per set for Letterpress Printing.